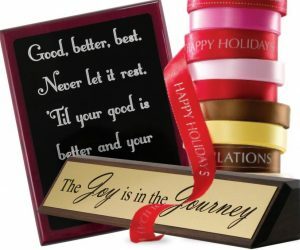 Did you know that the rules that apply to decorating your office also apply to corporate gifting? 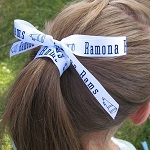 From wrapping to branding, custom ribbons are perfect for decorating. 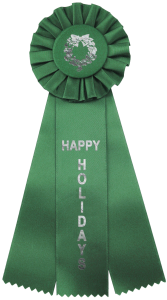 You have heard it from us before, custom ribbons are essential for the holidays. And you have also heard that corporate gifting is a must for nearly every business. 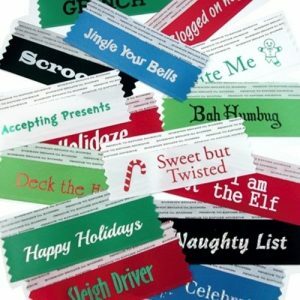 So, the key to maintaining these necessary relationships is remembering to customize your ribbons with the right information. But, although you may have been giving back to your clients for many years, you may not know all there is to corporate gifting. 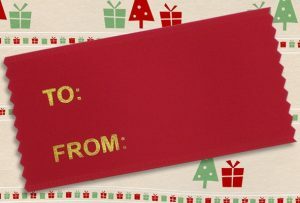 So, here are some helpful hints when considering your corporate gifting (and decorating) this year. We’ve said it before, don’t forget about proper marketing and branding. There are many reasons for corporate gifting that range from thanking customers for their business to recognizing employees for outstanding work. But, the primary goal seems always to be the same. It is to sustain relationships and deepen the personal connection between the giver and the recipient. 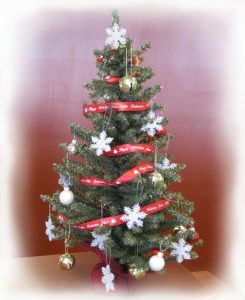 But, what does that have to do with decorating your office for the holidays? 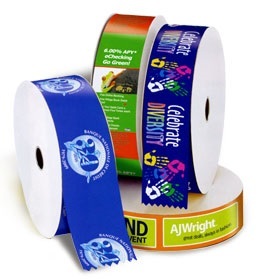 Well, that branded ribbon you now have lying around after wrapping all your corporate gifts is the perfect solution! 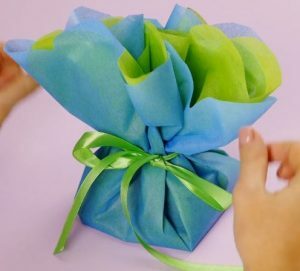 Use your leftover ribbon rolls to wrap up your office for the holidays. From the front reception desk to office doors, don’t leave anything without a bit of cheer attached. Make fun, festive bows to attach to the top of computers and hang on the wall. Or, cut little strips as table scatter for the luncheon you surely have planned to celebrate the holiday with your colleagues. Don’t limit yourself to ribbon rolls. 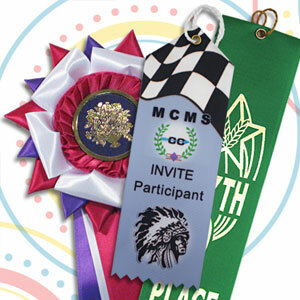 Grab some badge ribbons left from your last conference and start handing them out. 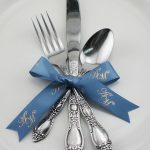 They are great for bookmarks and other decorating around your office or store. 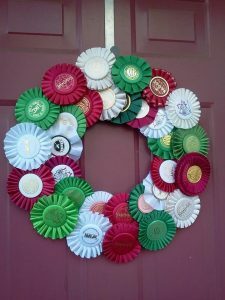 Or, hang a fancy rosette ribbon on a door instead of a wreath! And, remember that it isn’t always about the newest tech gadget or the latest candy fad. Sometimes, the most memorable gift you can give is something personalized. 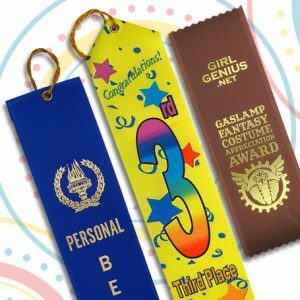 From a fancy new name plate to custom award plaques, we have that unique gift for that special individual. 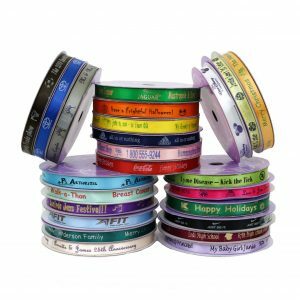 And, once you choose the perfect corporate gift, keep your decorating perfect with custom branded ribbons!